Created by Sanrio Ltd, founded in 1960 by Shintaro Tsuji, Hello Kitty is one of the truly phenomenal brands to emerge from Japan. For over three decades, this simple mouth-less cat of sparse lines and a bow has mesmerized children, youngsters and grown-ups alike across Asia, Europe and the Americas. In the US alone, Hello Kitty has expanded across 4000 stores nationwide, with more than 200 Sanrio specific shops. Created as a gift item to be exchanged between families, Hello Kitty now adorns more than 22.000 products across categories and contributes to more than half of Sanrio’s USD 1 billion annual sales. Much has been discussed about the endurance of this iconic brand over the decades. So popular is Hello Kitty that Taiwan’s second largest airlines, Eva Air, decided in October 2005 to use the Hello Kitty brand on flight routes between Taipei, Tokyo and Fukuoka. By paying Sanrio a franchisee fee, Eva Air has dedicated an entire Airbus A300-200 to the Hello Kitty brand and its cutesy universe. Everything – from the aircraft’s exterior, boarding passes, flight crew uniforms and the interior cabin – are designed in the Hello Kitty theme. This special Hello Kitty plane is booked more than 90% on average – a very healthy occupancy rate for an airline. A range of Hello Kitty duty-free goods are available and hugely popular with the fans of the brand. This demonstrates the enormous popularity that Hello Kitty enjoys even after decades of existence. This begs the question: why is Hello Kitty still so vastly popular? Unlike many of the Disney characters and other popular cartoons that emote and develop distinct personalities, Hello Kitty is a rather boring cartoon figure. It does not even have a mouth to talk. Hello Kitty’s Zen-like calmness and faceless expression are the major reasons for its appeal across age groups and markets. One of the important factors that differentiates Hello Kitty in the world of cartoons and characters is that Hello Kitty is not alive with stories, gimmicks or a pre-determined personality before it reaches people. By being a simple cartoon with very minimal characteristics, the Hello Kitty brand actually acts as a canvas upon which people can decorate with their own embellishments, thereby personalizing the cartoon, giving it a unique personality and internalizing the cartoon into their lives. 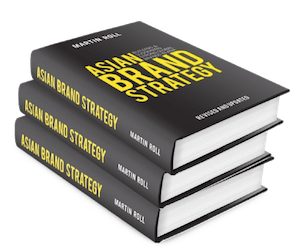 This simple, yet powerful differentiator sets the Hello Kitty brand apart from competitors. Another reason for Hello Kitty’s consistent popularity over the decades has been its ability to change and keep up with the times. Instead of treading the path of consistency and standard design usage, a brand that constantly changes in response to the needs of the consumers and of the society at large, will have greater chances of becoming an icon. Hello Kitty has followed that path. Through simple sparse lines and the bow as a constant, the cartoon has many versions, many colors, many characters that are related to Hello Kitty and a diverse set of products which carry the logo. These elements reinforce excitement about the brand and allow people to constantly build a loyal collection of Hello Kitty branded items. Yet another reason for Hello Kitty’s popularity is the wealth of co-branding that has been occurring between the Hello Kitty brand and a wide range of other brands, including McDonald’s, Swarovski and even financial institutions. McDonald’s has sold millions of Hello Kitty toys with its Happy Meals worldwide. Swarovski has an entire line of products dedicated to Hello Kitty. Since 2004, MasterCard has featured Hello Kitty on its debit cards. Many Hello Kitty cafes have opened around the world, in cities including Bangkok, Sydney, Hong Kong, Seoul and Taipei. In addition to this, Hao Sheng Hospital in Yuanlin, Taiwan has also branded itself as the world’s first Hello Kitty-themed hospital – a testament to the brand’s endearment with the local Taiwanese community. The endorsement of Hello Kitty from these other popular lifestyle brands definitely helps add equity points to the brand, leading to its immense popularity worldwide. Asian consumers express almost fanatical devotions to the Hello Kitty cartoon character and brand. Hello Kitty has its own theme park in Tokyo, which is a huge success among the Japanese, Chinese and Taiwanese. Many Hello Kitty products also have become valuable collectibles – some items are valued at thousands of dollars and sold at eBay and other similar auctions. The marketing scarcity principle is employed strategically so every new item is only produced in small numbers and new Hello Kitty products are displayed regularly across all global stores luring consumers to add those items to their collection. The popularity of certain brands depends largely upon the perceived scarcity of these goods. Accordingly, people assign more value to options, including products, when they are less available. Marketers have long used some of these scarcity tactics such as advertising “limited numbers available” or “deadline”. This principle works because people typically value things that are difficult to obtain and also because people cannot tolerate losing any freedom. According to the psychological reactance theory, the more people lose freedom (such as the opportunity or the ability to buy a luxury item), the more people want to retain or restore that particular freedom. The scarcity principle can also explain the Asian madness for collectibles including Hello Kitty. Consider the cases of limited editions of toys: in Taiwan, after McDonald’s started selling Hello Kitty dolls, customers, having stood in lines for hours, started to get into fights. A McDonald’s restaurant was ordered to close because of the chaos. Another toy fanatic threatened McDonald’s staff at knifepoint when they ran out of Hello Kitty toys. Some disappointed customers suffered nervous breakdowns after failing to obtain the prized dolls. The scarcity principle holds even more for these items not only because they are newly scarce but there is also a sociological component to the principle: people desire scarce products more when they compete with others for them. Nonetheless, as with many iconic brands that have had long-term success only to fade away gradually, Hello Kitty too has shown some brand fatigue in its native Japan. With the emergence of electronic gadgets, games and Internet, children and teens today are more lured by the visuals and sounds of these new channels than the simplicity and purity of a mouth-less cat. It would be a great challenge for Sanrio to maintain the brand popularity of Hello Kitty. Only time will tell whether the meow of this speechless – though iconic – Japanese cat will be heard in the coming decades. But the current brand equity of Hello Kitty indeed serves as a solid platform for the future.